This topic contains 10 replies, has 3 voices, and was last updated by Laura Pazzaglia 4 years, 5 months ago. I love groats, and am new to pressure cooking (have an Instapot and love it). I really enjoy making groats for breakfast because I think that the flavor and texture is crazy good. After several attempts I am unsuccessful trying it in the PC. My timing is all wrong for sure. Any advice? For anyone not familiar with groats, they are the whole oat kernel with the inedible hull removed with a nuttier flavor and chewier texture. When they are cut, then they are known as steel-cut oats. Have you had a look at this post? 1. The grain to water ratio is very important. For rolled and steel-cut oats they are actually the same ratios you’d put in your saucepan (steel-cut 1:3, rolled 1:2). So I would go with whatever ratio was working for your before, should also work in the Instant Pot. 2. You should cook your oats using the bain marie method AND open with Natural Release – both of these methods minimize the foaming that usually takes place with oats. 3. You need the right cooking time – this is trickier said than done. I’ll look around for the right cooking time, but in the meantime, we can reverse-engineer the cooking time if you tell me for how long you usually cook them conventionally. Thank you Greg, I just looked at it, very similar to what I did. Thank you L. I have tried about 1/2 dozen of your recipes and I have had 100% success…YUMMY!! However, on my own is another story. Steel cut oats are chopped groats. 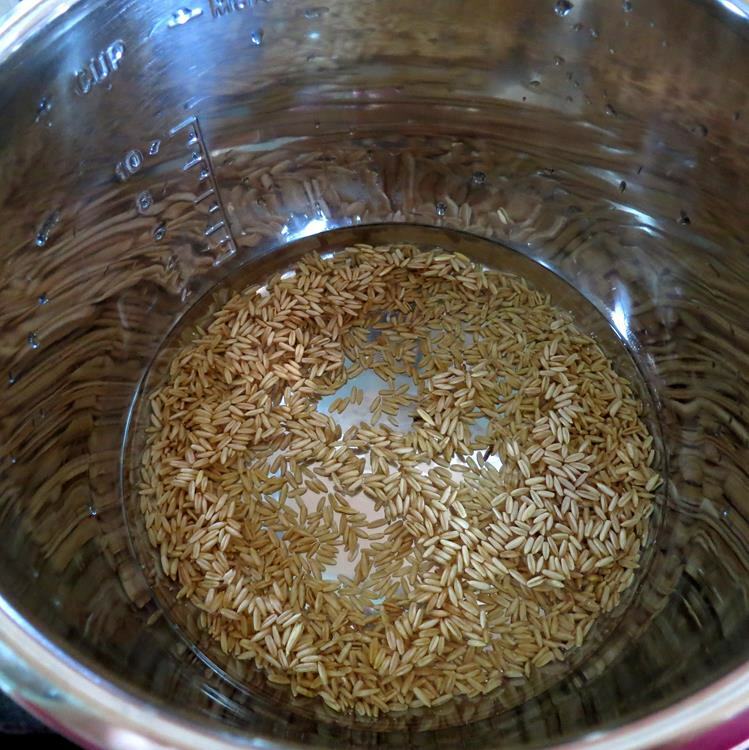 Stove top recipe: 1 cup groats, 1/4 tsp salt, 4 cups water, one hour in double boiler. My conversion:PIP method with small amount olive oil covered w/strainer upside down, high pressure x 20 min/natural release. That was so underdone… like really raw. I then relocked the lid and added 20 minutes, still underdone, and gave up. I retried it another day, again with terrible results. Any help is definitely appreciated. I’m doing some experiments, now. I want to add the cooking time to the timing chart, and I want to eat this delicious oat! According to a google search these look just like Oat groats. 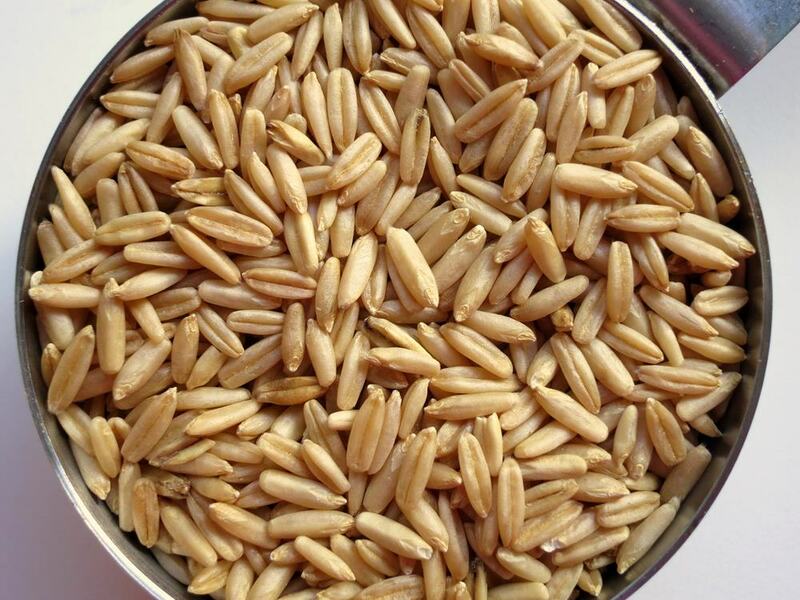 Take a look at the photo, and tell me if it looks like your Oat Groats. Ok, success. Since you told me the grains were under-cooked using the bain marie method I decided to cook the grains right in the pot. They are a similar size/density to kamut and brown rice – and unlike steel-cut or rolled oats there are no small pieces that could jam into the lid. I did a couple of tests, using Instant Pot, and I photographed the end result. 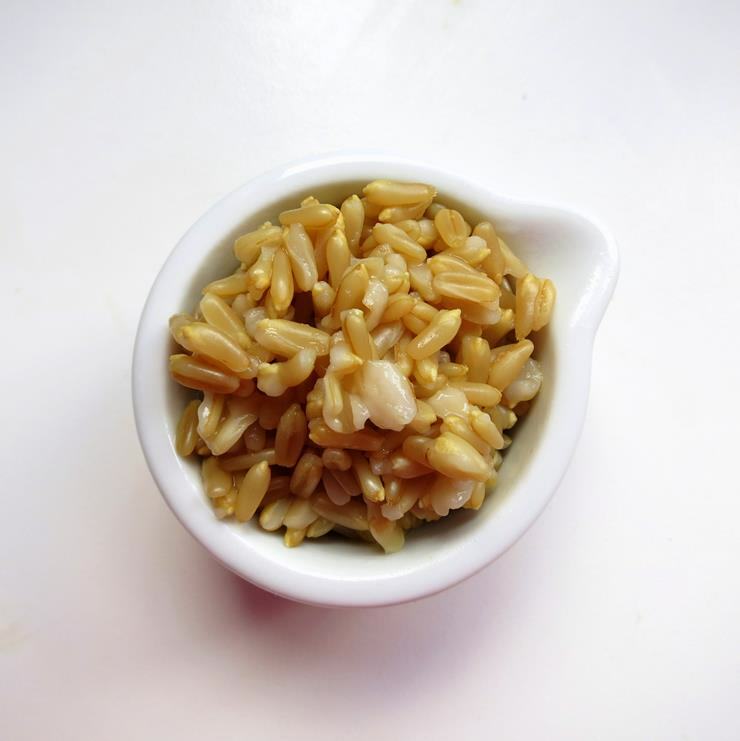 Here is how you should cook your Oat Groats: Pressure cook directly in the pot with a 1:1 ratio of oat groats and water (1 cup water, 1 cup oat groats) and a drop of olive oil (no salt as it promotes foaming). High pressure for 20 minutes (18 for stovetop) with Natural Release. Be sure not to fill your Instant Pot more than 1/2 full! YAY!!! I am SO excited! I will make this tomorrow morning!!! Yes, you definitely have groats! Did you like them? I like apples, walnuts, and cinnamon in mine, and some other fruit/nut blends too. I think I’ll just shred my apple and add it along w/walnuts after it’s cooked. I’m not so sure there is an easy way to add it in the instapot during cooking without having applesauce. Awe… I knew you could do it! And now I can do it too! Thank you L!!! Since you have the Instant Pot, you could set all this up the night before, and delay the cooking so it’s ready when you wake up. Since they will be soaked they may need less time. I’ll give it a shot tonight for tomorrow’s breakfast. I’m going to delay it and then set the time to 10 minutes along with the natural release and automatic keep mode and see what I get. Well, since it was lunchtime, I had the oats with sea salt and olive oil. The oats were fun and springy,like barley, very fun to chew and neutral (not boring) flavor. I’ve got apples and walnuts, so I’ll give your breakfast recipe a try! Glad I could be of help. I love a challenge and when I found nobody had the pressure cooking time for groats I was really excited to add it to the cooking time chart. P.S. Next I will test Hominy – I’ve gotten lots of requests for that and could never find it in Italy or remember to bring it back from America. My local, very eccentric, Indian grocer just opened a whole section of latin foods, now, and he just got some Hominy!!! THAT and Masa Harina… which I haven’t had in years – ever since I consumed the 5lb back I smuggled back from the US. Usually I like to chunk the apples, slightly chop the walnuts, and add a full teaspoon of cinnamon (or more) d/t its health benefits (cinnamon really has no flavor, it’s only in the smell). For me, I top it w/tiny amount of brown sugar or maple syrup. Other additions I’ll occasionally throw in one or two: flax seeds, wheat germ, chia seeds. This weekend I plan to try this with pumpkin or squash and shelled pumpkin seeds. I am still so new, that I forgot about the delay cooking feature. Thanks! I bought my Instant Pot out of impulse and desperation to improve my health after a lengthy illness had left me overwhelmingly fatigued. I reduced myself to bottled ensure and store-bought baby food. This website gave me the confidence and the right tools in using my PC effectively, and I AM feeling so much more energy! And my desire to eat has come back! I have quickly become a huge fan of yours and love to experiment with what you create and share! I love grits too, you go girl!! it’s a southern dish truly, and northerners where I live generally cannot make it to save themselves. Grits are delicious several ways as I recall. Thank you!!!! I finally had a morning to try this! I LOVE, LOVE, LOVE this! 100% success! Wow, so yummy and easy! I cannot explain why, but it tastes better than done conventional. Maybe better texture as a result of the drastically reduced water amount( 1:4 conventional vs 1:1 Laura’s way in the PC). And I agree, Laura, it does taste neutral. That’s why I like it, because I can change it up all the time with different fruit and nut combinations. Even sugars, if you add them, from honey to maple syrup to brown sugar. Again, I cannot thank you enough!